Model P44 is also available with a short barrel. The weight is reduced due to a shorter barrel and a shorter compressed-air cylinder to only 870 grams. The quality and the trigger technique remain the same as on air pistol Model P44. The sight line length is adjustable from 310 to 345 mm. 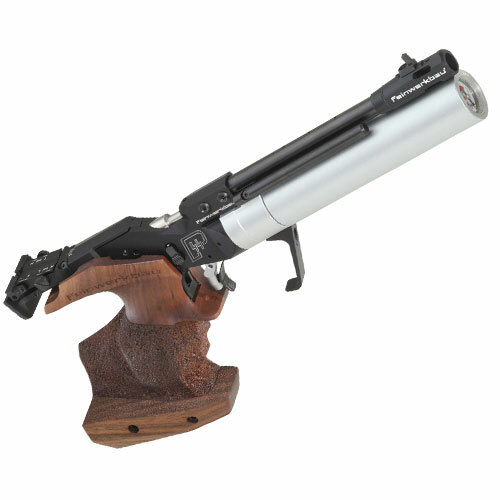 The air pistol is delivered in a special transport case including a short compressed-air cylinder with integrated manometer.